Have you ever wondered why a great singer’s thick speaking-accent disappears when they sing, giving way to a powerfully resonant and open voice that sounds like pure magic? The secret is tongue placement in singing. Singing and speaking are actually two very different actions, and while they do make use of parts of the same mechanism, differ wildly in process and application in a similar way to how walking and running may seem similar, but require a different process. After all, running isn’t just fast walking, in the same way that singing isn’t just speaking at pitch. These 5 ways to improve tongue placement in singing will absolutely change your voice and allow you to sing with resonance on any word and any sound you sing – yes, even your consonant sounds should allow continuation of your resonance when you sing. Are you ready to improve tongue placement? Lets get started. In speech, your vowels are often formed by use of the articulators at the front of the mouth, including the teeth, lips and tip of the tongue. In singing however, your vowel sounds are formed by particular tongue shapes while allowing appropriate resonant space in the vocal tract. These tongue placement sounds will allow efficient resonance no matter where or how you sing, simply by forming your vowels and consonants correctly with tongue placement. Lets look at vowel sounds first. Your vowel sounds are created by three main tongue shapes with individual variations on each additional sound. 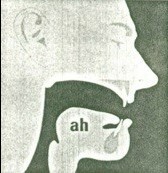 As an example, the AH shape, which occurs when your tongue is low and concave also serves to create both the AA and OH vowel sounds, where the EE shape, which occurs with your tongue raised in the back also creates the AY and EH vowel. The only vowel which has it’s own pure tongue placement is the OO vowel, which occurs when the bulk of your tongue is moved back in the throat and your lips elongate forward. Mastering these three main vowel shapes will absolutely change your life as a singer, just like they changed mine! An easy way to develop tongue placement in singing is the following tongue placement chart which will serve as a guide to the three main tongue shapes in singing. Remember, we’re all built a little differently so these are just general guides, you may find your tongue sits a touch differently for each sound given your physical build and anatomy. Now, every time you sing a word you need to substitute your speech pronunciation with one of these shapes. This of course does take time and practice for a natural feeling, but you’ll notice the efficient resonance on each shape compared to pronunciation. As an example, the word “Love” isn’t an O or UH sound like you may expect, it’s actually formed by an AH tongue position in singing – try this a few times to get familiar with the technique of tongue placement in singing. Now that you’re getting the hang of tongue placement singing where vowels are concerned, you might be wondering exactly how consonant sounds fit into this concept. Fortunately, tongue placement singing allows you to form your consonant sounds in a more articulate and consistent manner than your speaking accent likely allows – the secret is learning how to great each consonant with similar sounds and form an approach to each group considering your voice type, accent, build and other unique aspects that make your voice ‘yours’. The main consonant groups include glottal consonants (G, K), sibilants (S, T, X), open resonants (M, N, NG), closed resonants (L, R, W, Y) and plosives (P, B). Lets looks at some of the more difficult consonant sounds and form a simpler and more consistent approach to their creation. L and R can be particularly tricky sounds in singing due to the manner in which they are pronounced in many speaking accents, for example, the glottal stop nature of an L consonant in my own Australian accent. 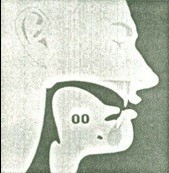 The secret is learning to sing a Tongue Placement L rather than a speech L. This occurs when you sing the consonant sound THROUGH one of your vowel tongue shapes, in the case of L an “OO” vowel. So, a word like Love would then become oo/l-AH-v instead of a harsh L sound lacking resonance. Forming this combination of L and OO together allows you to create a closed resonant sound that gives the illusion of a consonant when in fact you are simply singing a resonant vowel with a slight alteration of the tongue to sing a Tongue Placement L. This occurs when you place the tip of your tongue behind your top teeth while singing an OO sound. Practice this a number of times along with your main vowel shapes to build a consistent and resonant Tongue Placement L.
The S sound is very common, but often one that many singers struggle with. This is mainly due to the extra aspiration of air that occurs when we speak a sibilant sound like S or T. Singing is actually a result of air pressure, not air flow as you may think, so this added aspiration only serves to limit any resonance and make a stop/pause between your vowel sound and your consonant sound – this really doesn’t work well in singing. A much better way to articulate your S sound is to maintain the same breath support you use to sing your resonant vowels, almost as though you are ‘holding back’ your air without physically holding from the throat. Support itself is simply a change in the balance between airflow and air pressure – a supported tone leans towards air pressure, where an unsupported tone leans more towards air flow. The same can be said for an S and T consonant in that they should occur with air pressure, not air flow – aka breath support. Try it yourself by breathing diaphragmatically with good posture and don’t allow any extra air to flow out when you sing your S sound, almost like a leaking tyre or a snake. Can you feel how the S is now free of strain and you’re using much less air? Congratulations, you just mastered a tongue placement S consonant! Singing with tongue placement really will change your voice for the better with consistent practice. After all, this is how ALL the greatest singers sang, with resonance and shaped vowels. This is why they lack a ‘speaking accent’ when they sing, and their singing voices are pure and resonant without inflection. Here’s a few tips that will absolutely make the process of learning how to sing with tongue placement a much smoother and easier one. First and foremost, forming the right tongue position will actually provide you with each vowel sound without the need for pronunciation. Simply form the right shape for each sound and resonate away – there’s no need to ‘try’ to make each sound, and in fact, if you do overtly attempt to manipulate each sound instead of allowing a natural tongue shape and the corresponding resonance that they afford, you will lack proper resonance and ultimately struggle with tongue placement singing. Using the diagrams I provided earlier, the first three vowels you should learn are the ‘pure’ sounds AH, OO and EE, which all other vowel sounds (and consonants!) are built from. Master these three vowels first and you’ll find the process of adding in your additional sounds much smoother. Airflow is kryptonite to your singing voice, remember, singing is about air pressure, not air flow. The more air flow you have, the less resonance you have. Developing proper breath support is the key to developing a powerfully resonant sound with ease. Work on your foundations first and then work up to your vowel sounds over time. #4 – Consonants need shaping too! Remember how we spoke of the L consonant sound? 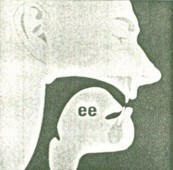 Each consonant group has it’s own unique tongue shape in tandem with a resonant vowel sound. Further examples include using an EE to sing a Y sound, an OO to sing a W sound and even a combination of the AY and OO vowels to articulate some R sounds. Remember, you don’t need to pronounce, you need to shape your tongue! No really, it absolutely does. The more you practice separating these tongue positions from your speaking voice and speech accent, the better you will become at singing tongue placement sounds. It’s not a magic pill to just shape a sound here or there, you need to shape absolutely EVERY sound you sing and maintain a consistent and powerful resonance by alternating between each tongue position in singing rather than relying on speech pronunciation. When learning any musical instrument or developing your voice, practice really does make the difference between a consistent voice, and one that lacks control and clarity. I recently detailed my process of teaching others how to play guitar and sing at the same time over at The Guitar Journal – it’s all about timing, practice, patience and perseverance. A great place to start is our free Founding 101 singing course which will not only show you how to shape each of your vowel sounds effectively, but also everything from breath support right through to connecting chest and head voice – it’s free, so what do you have to lose? When you’re ready to take your voice to the next level with professional coaching, you’re more than welcome to book a Skype Lesson with me and I’ll show you how to form the correct tongue positions for efficient, powerful and resonant singing. Remember, your singing voice will only ever be as strong as the foundation it has been built upon – can you honestly say you’ve mastered the elements of vocal foundation? If you have any questions about tongue position in singing, feel free to leave any feedback or questions below!